The Library can be an overwhelming place; bright lights, book alarms and the buzz from the group study area. We understand people learn differently and need different spaces, so I’m going to run through some of the different spaces and support we provide at the Library. Better still, we have a student tell us about how they use different Library spaces to support their studying. 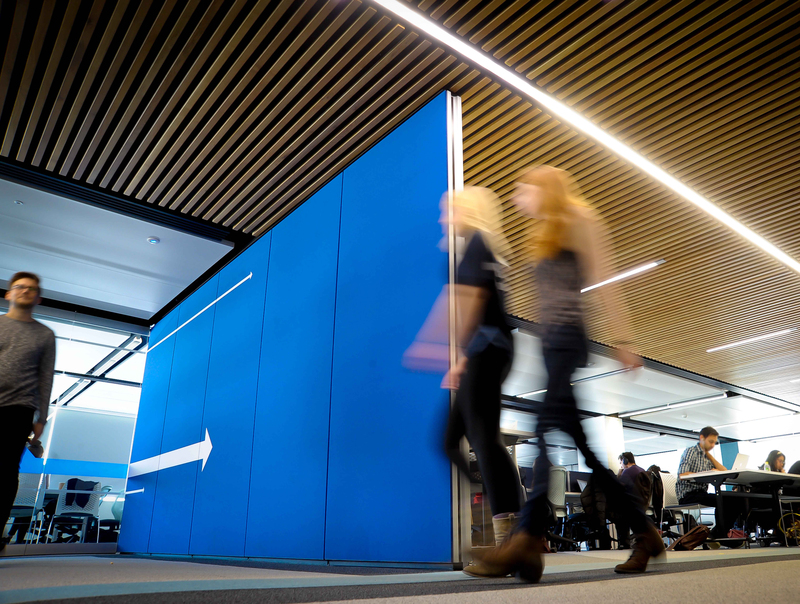 If you are trying to find out the best Library space to study in, be it group, silent or quiet study, you can find further information on the different floors and zones online. Even in quiet study areas, the tapping of keys or rustle of a crisp packet can be distracting when studying. Anyone can borrow loanable ear defenders for Library use, which can help block out some of the background noise. Browse our other loanable equipment such as reading rests and coloured overlays on the Library equipment web pages. The floor plans are also a helpful tool to navigate Library spaces. Interactive screens can be found in the lift lobbies and in the extension building, or just ask a member of staff. Our Accessible Study Rooms are bookable by students who have registered with the University’s Disability Services. Each room is different and can be adjusted to make a personalised learning environment. 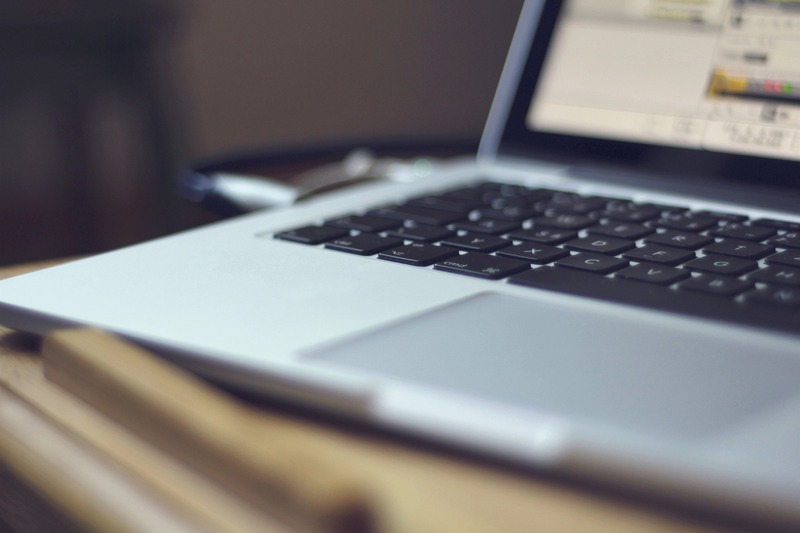 Computers are loaded up with assistive software to support your study. Whether it be voice recognition software such as Dragon Naturally Speaking, mind mapping tools like Inspiration or MindManager, or visual and interactive notetaking software Audio Notetaker, the rooms have a bank of software inside. You can check our website to find out what’s available in each room. All rooms have adjustable furniture and most computers have double screens and scanners. The lighting is fully dimmable LED, so you can adapt it to suit your preference. Book for up to 3 hours per day and up to four weeks in advance on the Accessible Study Rooms home page. If you need any support contact the Library or try watching our video on how to book the Accessible Study Rooms. 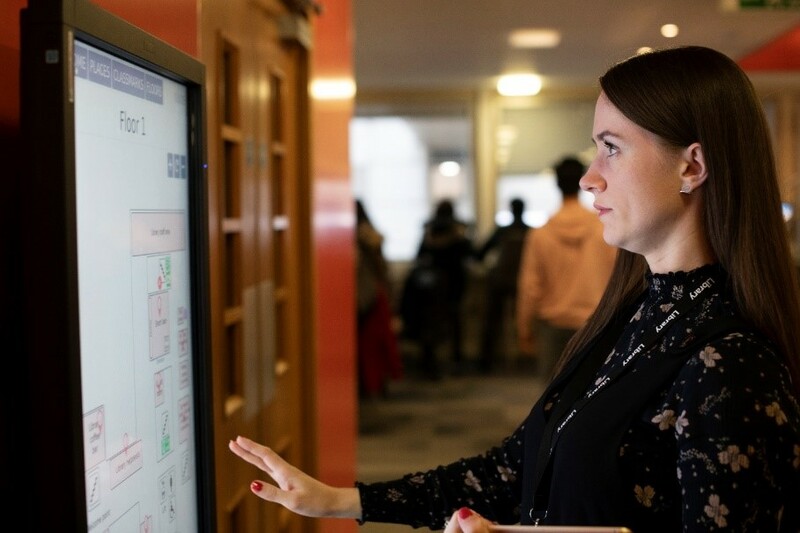 Top Library Tip: Once you have finished your 3 hours studying if the room is free you can add additional hours on via the door pad controls by highlighting the current hour slot and scanning your University card. We started off with one, but due to student demand and positive feedback, we now have two! Sensory Study Rooms are adapted Accessible Study Rooms on floors three and five of the main Library. The aim is so that you can adapt the room to your sensory preferences to create a different learning and relaxed environment. Seating options include a rocking chair, bean bags and wobble cushions. Feedback so far has been very positive, particularly towards the lighting available. 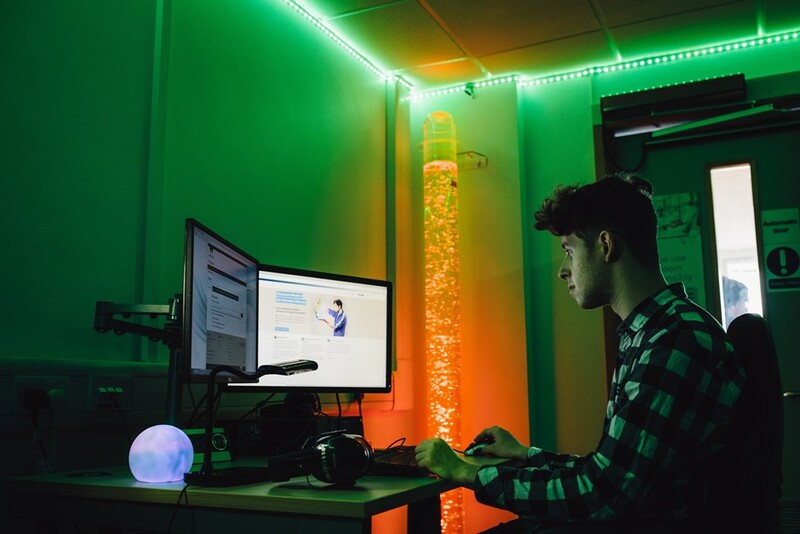 Across the two rooms, you can find a bubble tube, LED light tube, strip colour lighting and a star projector. There are also a variety of sensory objects, aroma cubes, yoga mats and weighted lap belts available. “I have been visually impaired and autistic since birth. However, I was diagnosed in a much later phase of my life, and as a result, I was struggling a lot at school and even at the university. For a very long time, I was aware that I needed a different kind of approach to studying and different support, but I didn’t know what would work for me. When I came to Warwick, I used to spend a lot of time in the Wolfson Exchange and PG Hub. However, hours kept passing by, but I wasn’t really making any progress with my work which made me feel anxious and frustrated. Everything was bothering me – people walking around me, noises, lights, etc. A year ago, I was finally diagnosed with autism and one of the Disability Advisors at Warwick gave me some tips and mentioned the Accessible Study Rooms. Based on that insight, I organised the way I study in a different way. Apart from studying, I also focus on taking regular breaks and spending times with therapy dogs whenever I can. This does wonders for me because with animals I can recharge much faster than in any other way and I have more energy to do the “real work”. I still do some work in the PG Hub and Wolfson, but time spent there is mostly reserved for doing more general tasks such as replying emails, searching for literature online and things like that. Prefer to study out of the main Library? Did you know we have Learning Grids dotted across campus and even as far afield as Leamington? Our Postgrad Hub and University House LG2 even have Accessible Study Rooms. For Learning Grids on campus, you can use the interactive map to plan your journey. 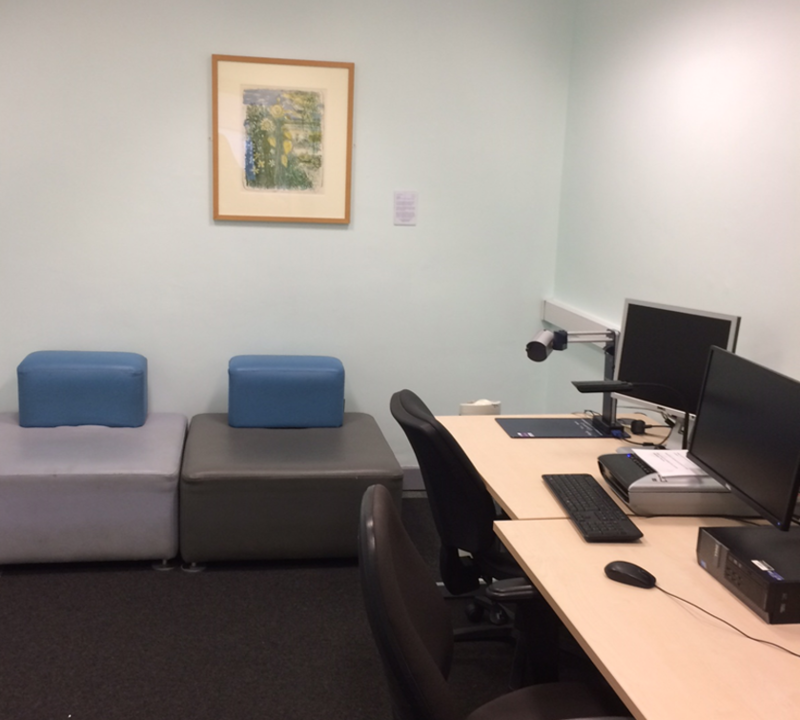 Top Library Tip: For all of the postgraduate students out there, the Postgrad Hub has a Relaxation Room with bean bags, rocking chairs and sensory objects available. No booking required, just drop by! We are more than just physical study spaces! We have a wealth of information and support online. Browse our e-books and journals via the Library pages, along with referencing support. Next time you are on Moodle, check out our courses such as PresentWISe, RefWISe and PlagiarWISe to boost your Library skills. For more in-depth support tailored to your course, browse the subject support pages, where you can also find contact details for your individual Academic Subject Librarian. 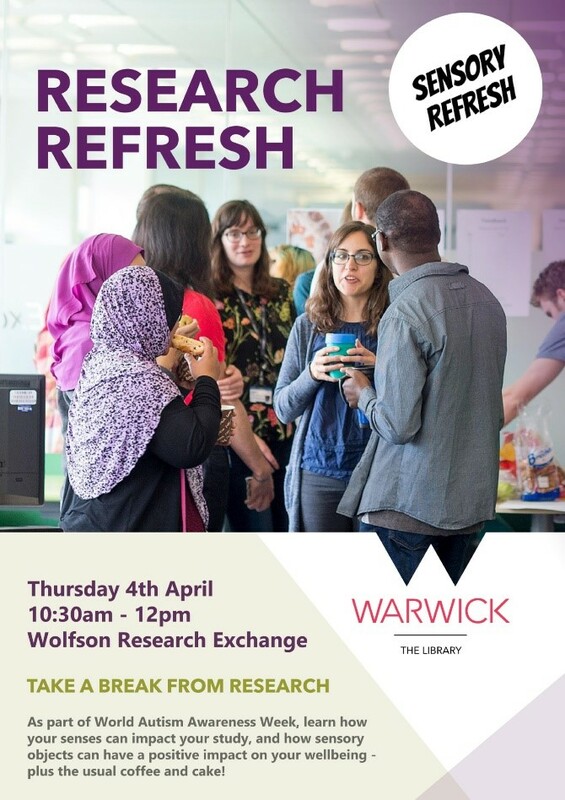 If you are interested in finding out more on what support is available or just want to know more about how your senses impact your study, come and see us at our Postgrad Sensory Refresh event above. Highlights will include pop up sensory areas, silence vs sound interactive tasks and much more. If you are a student with a disability, how do you find our study spaces? 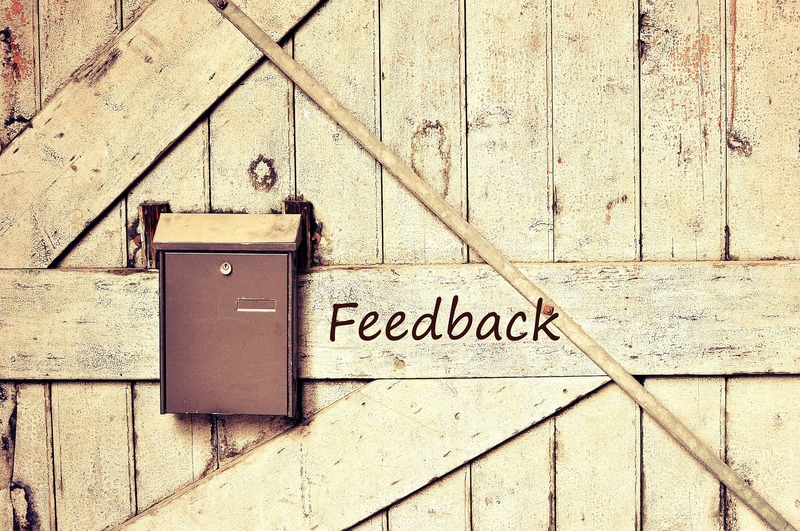 Do you have any suggestions on how to improve our services? Tweet us at @warwicklibrary, email us at libraryblogs@warwick.ac.uk, or leave a comment below.